Euronet Worldwide Inc. the U.S. based electronic payments company launched a bid of $1 billion for MoneyGram International on Tuesday. Euronet argued that its deal involving two American companies would not face as much scrutiny from regulators as a lower bid from Ant Financial Services from China would. Ant Financial, which is a financial services affiliate of online giant Alibaba Group, said it was committed to its offer. Ant Financial and MoneyGram continues working in cooperation under terms of the agreement to merge between the two and progress is being made on schedule in obtaining all the required shareholder and regulatory approvals, the company said in a prepared statement. MoneyGram would only say it would be carefully reviewing and considering Euronet’s proposal. Shares of MoneyGram surged by close to 25% on Tuesday, which was above the cash offer by Euronet, indicating that investors are expecting there will be a higher bid that materializes. In January, Ant Financial announced that it would buy MoneyGram, based in Dallas, Texas, for a per share price of $13.25 equal to $880 million, in its first big move in expansion overseas. MoneyGram is one of the largest companies in the global remittance industry and Euronet taking it over would help it to better compete with digital startups that are transforming the worldwide money transfer industry. Euronet is No. 4 in offline traditional global transfers through its Ria brand. It would have big synergies with MoneyGram if the two merged. Euronet has four businesses that transfer money including Ria, HiFx, XE and IME. It focuses more on the independent agent, while at the same time MoneyGram targets the large retailers and post offices. MoneyGram and Western Union have been the dominant forces in global money transfers for years. MoneyGram’s large network of locations has almost 350,000 retail outlets inside retailers, post offices as well as banks in 200 countries. 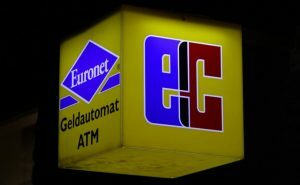 A deal by Euronet for MoneyGram would not require the approval of the Committee of Foreign Investment in the U.S., which is an inter-agency in the U.S. that reviews acquisitions by foreign entities because of concerns over national security, like one would between MoneyGram and Ant Financial. CFIUS has represented a roadblock for a number of deals that include Chinese companies in the U.S. and was looked upon as a big hurdle for the deal with Ant Financial.